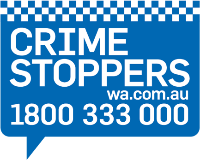 Cannington Detectives with the assistance of Armadale Detectives have charged a man in relation to an aggravated armed robbery in Beckenham that occurred yesterday, 6 April 2019. During the burglary, it is alleged a BMW station sedan was stolen. About 8.45pm last night (6 April 2019), Armadale Detectives on patrol sighted the stolen BWM travelling along Railway Avenue in Kelmscott. As the BMW turned into Streich Ave, police activated their emergency lights and sirens an attempted to pull the vehicle over. It is alleged the driver failed to stop and accelerated away. The BMW was followed through several southern suburbs before being abandoned at Mary Carroll Park in Gosnells. Two occupants of the BMW, a man and a woman were apprehended in the vicinity a short time later. •	No Authority to Drive. •	Give False Personal Details to Police. They are both due to appear before the Perth Magistrates Court today.